The Office of Information Technology has been hard at work making improvements and adding functionality to the Electronic Educational Environment (EEE). The development team has modernized the look and feel of EEE, enhanced the mobile version, and made a significant number of functional updates (selected updates described below). EEE also has a new YouTube channel, which contains a growing number of videos focused on new and existing functionality of the system. 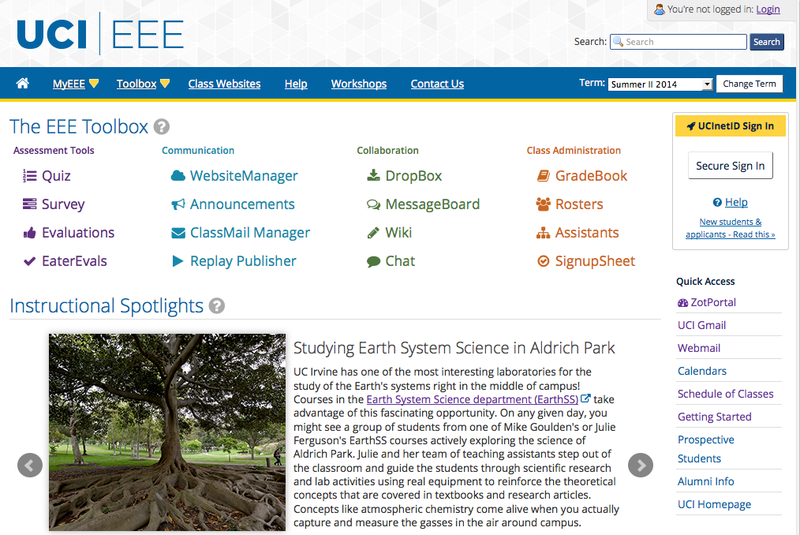 Instructors, staff and students at UCI continue to use EEE in innovative ways and provide us with feedback about how to improve or expand the system. Your input about new features and enhancements, or questions about how to use EEE are welcome!